Many first time home buyers go through this dilemma of whether to hire a mortgage agent or not. The common question asked by most is, why should they hire a professional? Why not go to a bank or seek out lenders themselves? Well, the answer is simple. It is the same reason why anyone hires a professional for any purpose. Professionals guarantee a hassle-free process. 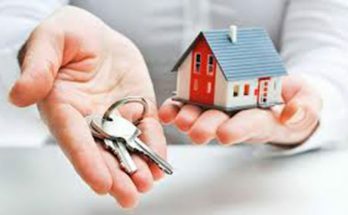 They are there to minimize the hurdles towards your goal of owning a property. Buying a house or any type of property is not a cake walk, especially when you are getting a loan for that. It involves a number of formalities and legalities that can be hard to deal with by yourself. Getting help from a mortgage agent always helps because they have better and more appropriate knowledge about the current mortgage rates. Not to mention, the pros have contacts with a number of lenders who can provide you with customized mortgage best suited for you. The basic job of a mortgage agent or mortgage broker is to act as a bridge between you i.e. the borrower with the perfect lender. They are the match-makers who make sure that you get the best deal in the real estate market. They will also inquire about your current spending habits and future goals to understand your financial standing. After gathering all the valid information they will guide you about the strong points and weaknesses in your finances. Accordingly, they will help you in applying for the loan. Besides that, they will also get you in touch with a suitable lender who is ready to lend you the money for a preferable rate and payment structure which you can afford. In a nutshell, a mortgage agent makes sure that you get the loan to buy your house, one that is easy to pay off. Since the mortgage professionals have access to multiple avenues for getting a loan, they can provide you with considerably lower mortgage rates than banks and credit unions. Mortgage agents have contacts with all the top lenders. They can vet the lenders for you as well as negotiate the best mortgage plan on your behalf. The best part about this is that you get in touch with a suitable lender, who is ready to offer you a preferable rate and repayment option. It is easy to get the best one when you are offered multiple options to choose from. They not only make it a hassle-free loan process but also make sure to educate you about it. Mortgage brokers or agents are known to provide their clients with sound financial advice. They give you proper information so that you are able to take the right decision. The professionals help you understand what the right kind of mortgage is for you. Your credit score plays a very important role in loan approval. The mortgage agent that you hire will help you in perfecting the credit score in case there is any fault in it. They ensure that your loan does not get rejected due to bad credit score. 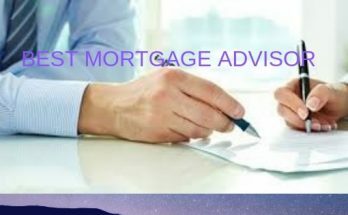 To summarize it all, when you hire a mortgage agent in Mississauga, there is a higher chance of loan approval and you end up with the best mortgage as per your financial capability. 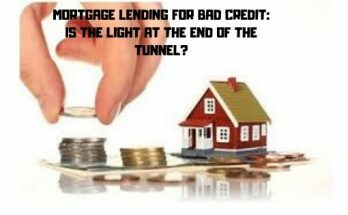 Mortgage Lending for Bad Credit: is the Light at the End of the Tunnel? Previous Article How Long Can Your Debts Be Pursued Legally?